Christopher J. "Chris" Leopold (born April 22, 1968) is a businessman from Belle Chasse, Louisiana, who is a Republican member of the Louisiana House of Representatives for District 105 in suburban New Orleans. A native of southeastern Louisiana, Leopold graduated in 1986 from St. Martin's Episcopal School in Metairie in Jefferson Parish. In 1990, he received a bachelor's degree in marketing from Southeastern Louisiana University in Hammond. He later attended the Institute of Politics at Loyola University in New Orleans. Leopold was elected in 1996, 2000, and 2004 to the Republican State Central Committee. 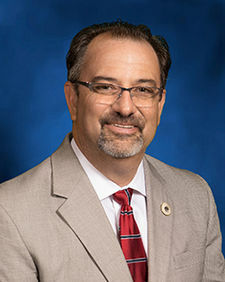 In 2011, he was elected to the state House to fill the seat vacated by the term-limited Ernest Wooton, an Independent and a former St. Bernard Parish sheriff. In the general election held on November 19, Leopold defeated fellow Republican, Harold L. "Rocky" Asevedo, 4,786 (53.4 percent) to 4,183 (46.6 percent). In addition to Plaquemines Parish, the district also includes a few precincts from Jefferson and Orleans parishes. Leopold is a member of Ducks Unlimited, Rotary International, and the Roman Catholic men's organization, the Knights of Columbus. He and his wife, the former Joanna Cappiello, have three children, William, Charley Ann, and Sydney Claire Leopold. ↑ Christopher Leopold. Mylife.com. Retrieved on September 12, 2017. ↑ 2.0 2.1 2.2 My Resume. leopoldforlouisiana.com. Retrieved on May 18, 2012. ↑ General election returns, November 19, 2011. staticresults.sos.la.gov. Retrieved on May 18, 2012. This page was last modified on 6 November 2017, at 23:10.